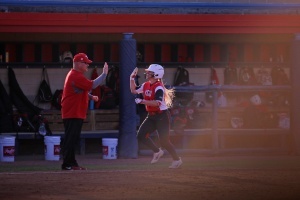 When Youngstown State University head softball coach Brian Campbell took over the program 10 years ago, it was in some rough shape. In 2009, when he took over, the roster was rough and so was the play. The Penguins won just eight games that year to the tune of an 8-42 record but everything eventually got better. The team won 14 games in 2010 and then won 22 games in 2011. At that point, YSU and the program knew the decision to bring him in was the right one. 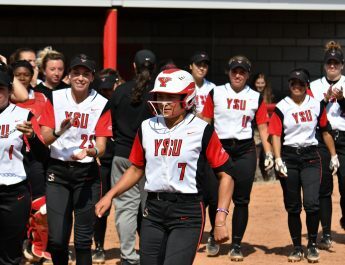 YSU posted its first winning season since 2004 during the 2012 season. The Penguins went 29-22-1. Since then the team has posted winning season in 2014, 2016 and 2017 with 30 wins, 30 wins and 31 wins, respectively. For Campbell, the wins are only a part of a much larger puzzle we all call life. For him, the wins don’t mean as much as other more important things. Besides becoming the all-time winningest coach in YSU history, Campbell has some personal history coming close as he needs six wins to get to 500 career wins. With 209 career wins now, Campbell believes that wins don’t reflect anything more than how well these ladies have played, practiced and fought to get him those wins. Any good coach will tell you that wins don’t mean a thing without hard-working players. He said that he wants every girl to go as high as they can in their field. “I want them to try and get as high up as they can and want to,” he said. Now, Campbell still has a season to focus on as his squad is currently 8-12 before the bulk of the conference schedule begins. The Penguins have won three straight games before their first home weekend series against Indiana University-Purdue University Indianapolis.